The NFC-based e-wallet functionality hidden inside the iPhone 6 and iPhone 6 Plus will be unlocked starting next Monday, Oct. 20, when the service is set to launch in the U.S. The official launch date for Apple Pay was announced by Apple Chief Executive Tim Cook at a media event in Cupertino, Calif., on Thursday. Cook said that many more retailers and partners have decided to join since the Apple Pay service was unveiled last month. 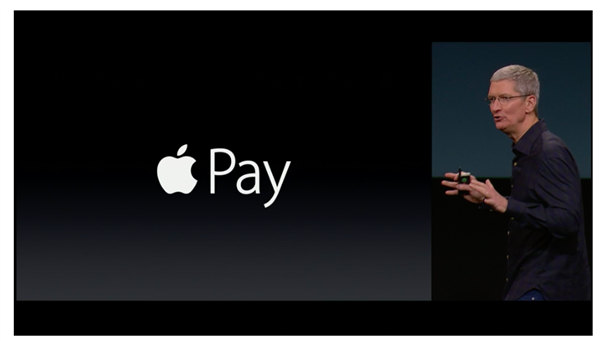 Apple will be rolling out Apple Pay with iOS 8.1 next week. When the update launches, Apple will open up access to iCloud Photo Library, the cloud-based image storage and sharing feature now in limited beta testing. Apple is also bringing back Camera Roll, which was basically moved and renamed in iOS 8, after an outcry from users and developers who rely on the feature. Though Apple Pay will be exclusive to the latest iPhones, it will also be included in the Apple Watch, which is set to launch in early 2015.